One key aim of the Conserving Coniston & Crake project is to help species under threat. Salmon and Sea Trout are two such species, declining for a number of reasons including existing barriers to adult fish heading upstream to their spawning grounds and the same barriers preventing young fish migrating out to sea. 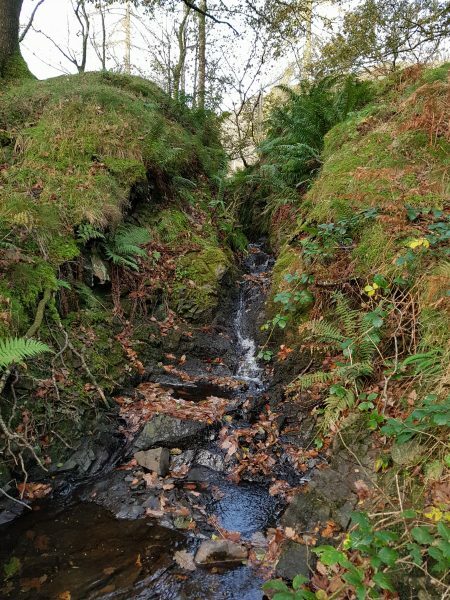 The fish pass at Yew Tree Tarn was identified in the development phase as being a major site that needed some enhancement to ease fish passage. This month, phase 1 of the fish easement installation at Yew Tree tarn was undertaken. 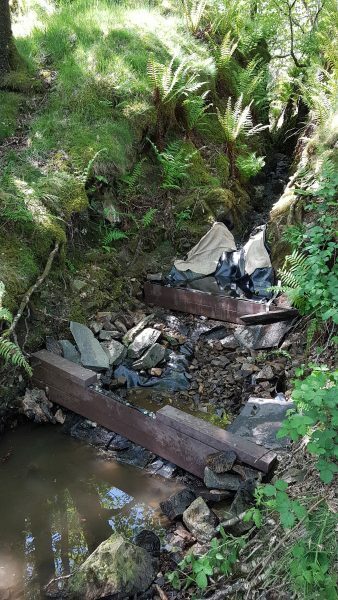 Two pool areas have been created on the steep bypass channel in order to aid the upstream migration of Salmon and Trout. The installation was achieved by anchoring stainless steel rods into the bedrock which were used to hold in place neutral coloured recycled plastic beams in such a way as to hold back and collect flows, thus creating pools. These two new pools will act as short resting points for the fish as they navigate the steep bypass channel. First picture shows fish pass before enhancements. 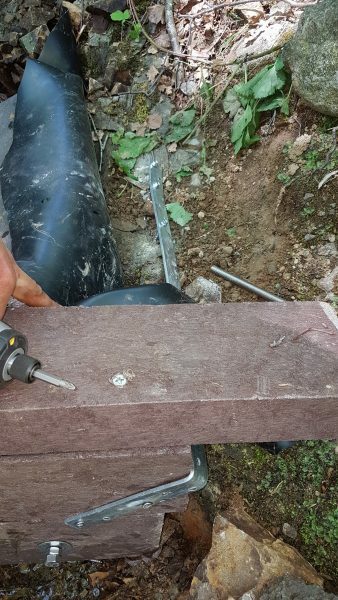 Second shows steel rods and flow blockers being installed. 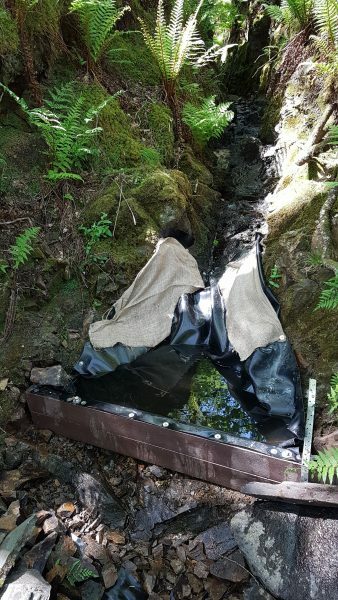 Third & fourth pictures shows plastic sheeting that covers the rods, covered in hessian which will aid regrowth of mosses to naturalise the edges. The site will be regularly monitored and visited during the next period of heavy rainfall to assess how the flows have been modified. This will allow further assessment to ascertain if any additional flow blockers of pools are required.